Do You Continuously Feel Overwhelmed? Are you suffering from anxiety and longing for relief? Have you experienced a disturbing event, such as an assault, accident, unexpected loss or a betrayal? Do your anxious or depressed symptoms prevent you from living the life you want? Are looping worries or low moods inhibiting connection with those most important to you, perhaps contributing to the end of important relationships? Or, have you experienced tough life events that have left you feeling preoccupied, distracted or stuck in the past? Do you wish you knew how to find a way forward? Anxiety impacts more people than any other mental health disorder. Further, it’s common for someone who suffers from anxiety to also experience depression or vice versa. Living with anxiety can be deeply distressing and severely compromise your ability to function, physical health and overall quality of life. 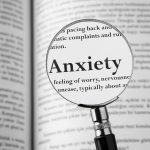 Yet less than 38 percent of those who suffer from anxiety symptoms get treatment, even though anxiety is highly treatable. Don’t let this be you. With the help and support of a professional, you can manage or eliminate those symptoms eroding your life. Not Sure If Your Symptoms Are Related to Trauma? You may be wondering if trauma is contributing to the symptoms you’re experiencing. The problem with that big “T” word is it has many equally large connotations, from assault and battery to war to catastrophic events. While these are certainly traumatic experiences, not all trauma is as obvious. Trauma, simply defined as a deeply distressing or disturbing experience, can take many forms. And, it can be caused by an isolated event or many occurrences over a period of time. This includes growing up around substance abuse and addiction, infidelity and betrayals in relationships, loss, a divorce or ending of a significant relationship. All of these experiences can contribute to feelings of stress, irritability, worry and overwhelm. Most significantly, trauma makes you feel unsafe in your own life. So, if you frequently feel on edge and tense, as though you are awaiting danger or disaster, it is possible that trauma is at the root. Luckily, there is a way to restore a sense of ease to your life. EMDR stands for Eye Movement Desensitization Reprocessing Therapy. It a highly effective trauma therapy model designed to help individuals alleviate the anxiety, stress and depression that can be caused by a variety of disturbing life events. EMDR is an integrative approach that incorporates somatic/body approaches, mindfulness practices, cognitive behavioral therapy and experiential experiences. It has been extensively researched and proven effective for relieving many types of psychological stress. When a traumatic event occurs, it can get trapped in the memory systems of the brain. The original, distressing images, body sensations, beliefs and emotions get frozen. So, when trauma gets triggered in everyday circumstances, tremendous feelings of anxiety and stress are ignited. EMDR appears to unfreeze these stuck memories and the associated emotions and allows the brain to integrate the material so that the charge of the memory is removed. In other words, you can remember your past without feeling trapped in it. That said, EMDR includes eight phases and allows time for you to build a trusting connection with your therapist, as well as process any material that feels relevant. You are in charge of the pacing during this transparent process, so you understand your progress and what comes next. Incredibly, with the right guidance, your body does all the healing on its own. I have witnessed remarkable change in clients and want the same freedom and ease for you. It used to be that we believed it took a very long time—even years—to heal significant emotional distress; we now know that does not need to be the case. Just as the body is able to heal physical injuries, the brain is able to heal emotional distress. EMDR can be quite short—just a handful of sessions—or longer, depending on your preferences and needs. As is true for physical injuries, the healing time for emotional and psychological injuries depends on the degree and depth of the wound. Regardless, EMDR shows a faster treatment rate than other forms of traditional therapy. Nothing Has Helped Me, and I Doubt Anything Can. If you have tried other forms of therapy and anxiety treatment but still feel stuck, EMDR may be a good fit. If you have experienced a significant life stressor—job loss, unexpected loss, breakup, accident, relocation—or, witnessed something highly disturbing—accident, suicide or violence, where there is a distinct before and after, EMDR could be an excellent fit for you. 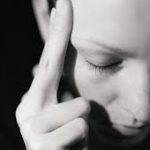 If you are suffering and not sure the cause of your symptoms, EMDR can still help with processing through your stress. Do I Have to Retell the Details of My Traumatic Experiences? This is an important question and the answer is a resounding no. While I will take your history to understand the memories or events you can process through EMDR, you do not need to retell the experiences in detail. Nor do you need to remember details of the event. In the past, trauma therapy has had survivors retell their stories, which only heightened their experiences of anxiety and stress. With EMDR, you only need to hold an image or body sensation for the processing of that event to happen. I will be there to help you feel safe and supported every step along the way. Schedule a free call to learn if EMDR therapy is an appropriate fit for you.